We got this Crystal wall sconce light for our Master bed room and family room, looks so awesome, we got a lot of other light from overstock, we all love what we got!! Highly recommend to anyone!! This is beautiful light! 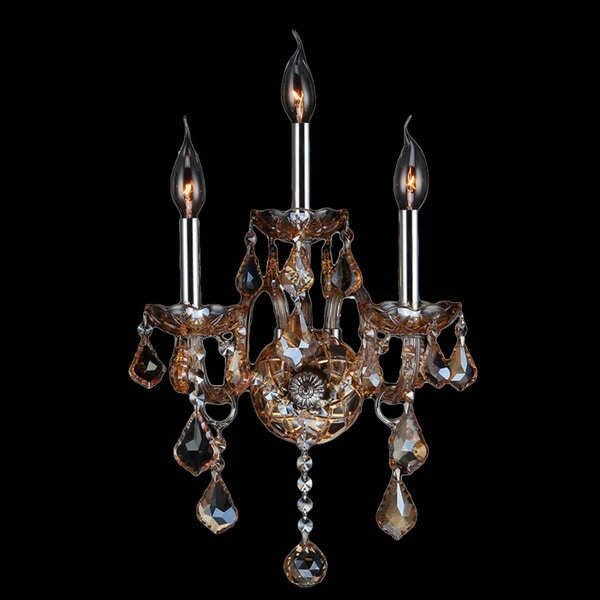 This stunning 3-light Crystal Wall Sconce only uses the best quality material and workmanship ensuring a beautiful heirloom quality piece. Featuring a radiant Chrome finish and finely cut premium grade Amber colored light-reflecting crystal with a lead content of 30-percent, this elegant wall sconce will give any room sparkle and glamour.